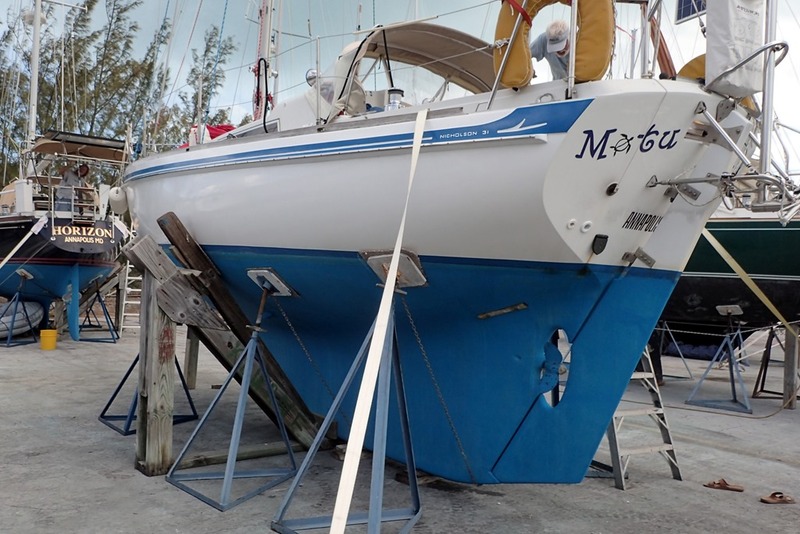 Motu Iti was hauled Wednesday. 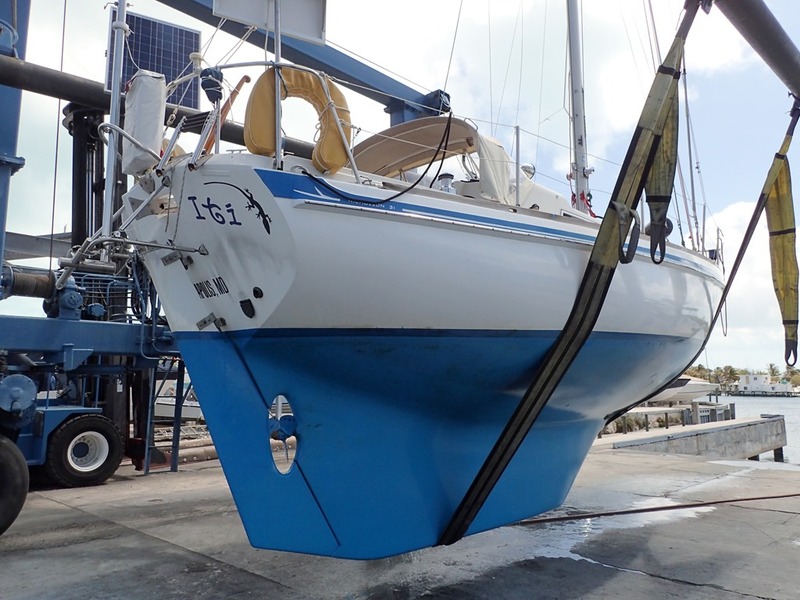 We leave her in the Bahamas for the summer so we don’t have to spend the time taking her back and forth from Annapolis. No sails, no boom. 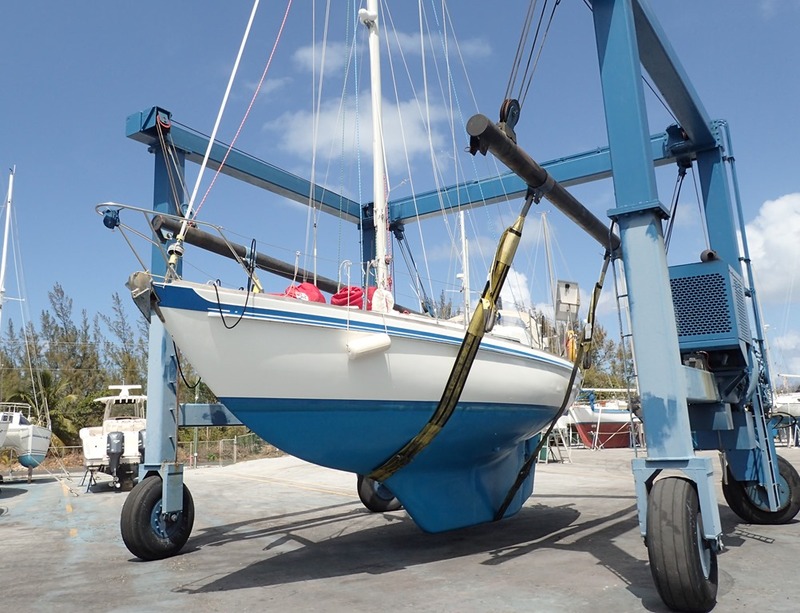 Next, she was guided into the service well by the careful folks at Abaco Yacht Services – lots of boat hooks. 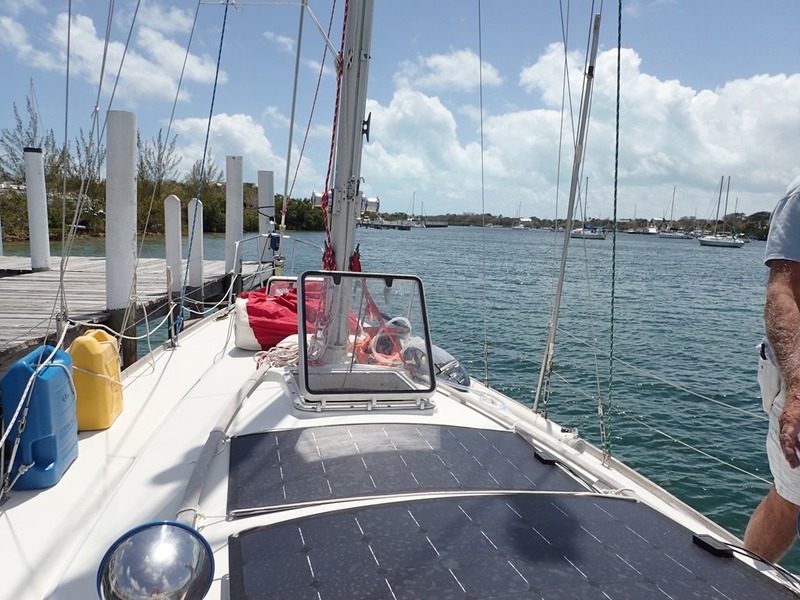 Abaco Yacht Services in Black Sound, Green Turtle Cay, does a great job – the yard is safe and secure and they take good care of our boat. What a pretty boat! We painted her bottom last April and it still looks great. Just a bit of scum at the water line. 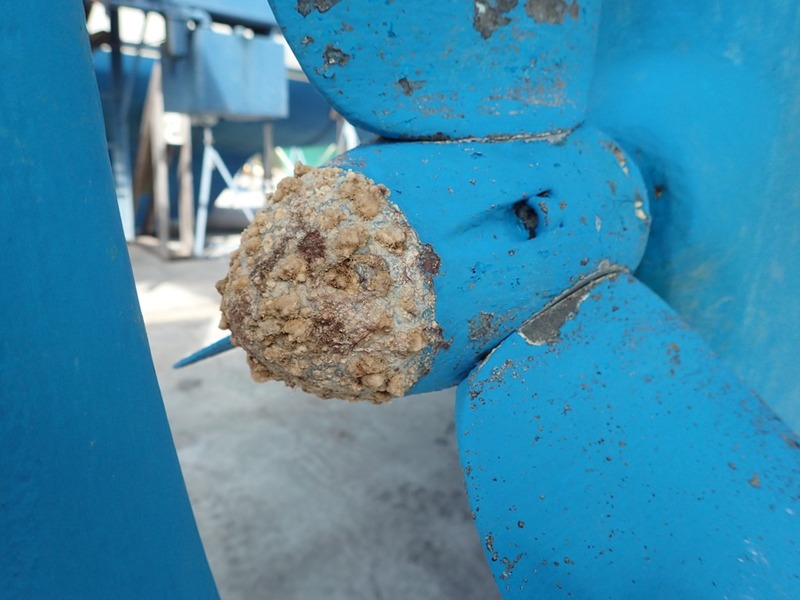 We found barnacles attached to the zinc (it’s a sacrificial metal cap that protects the bronze propeller) on the propeller, but none on her bottom. 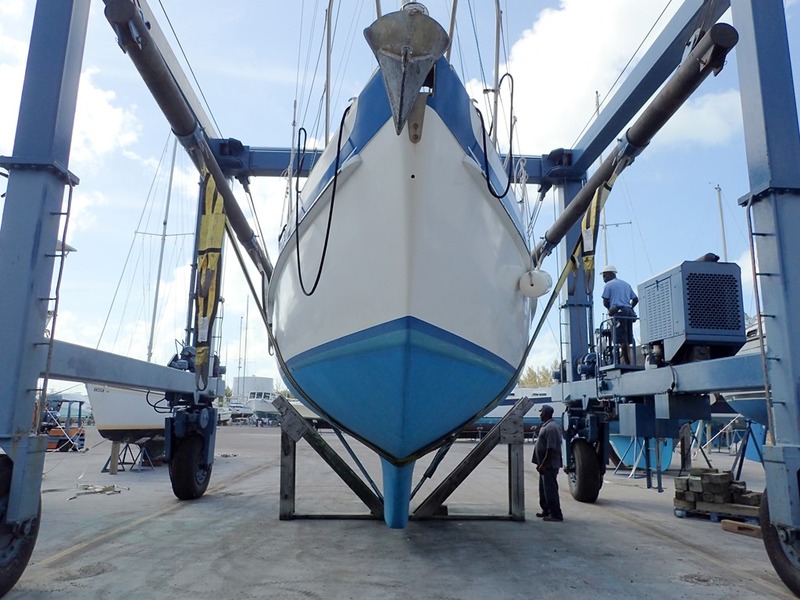 She had a short trip in the travel lift across the boatyard. To her summer storage spot. 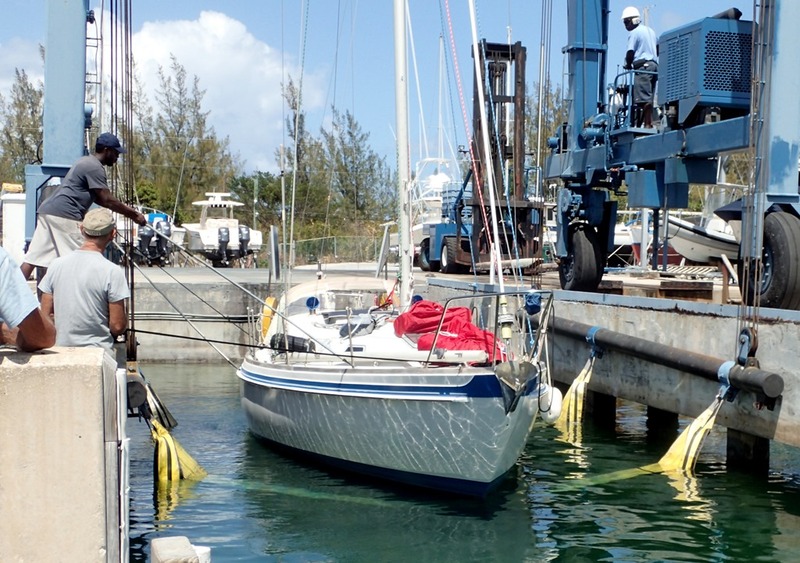 Stanchions chained together underneath the boat; a wooden cradle, and nylon straps fore and aft that are winched tight onto rings set into concrete in the ground. Safe! See the ladder? That’s how we get on the boat now. Next – lots of cleaning.